Limited Edition AARON CAIN Print! In celebration of the upcoming late April release of The Biomech Encyclopedia we are offering a limited edition print of the amazing cover art that Aaron Cain did for the book. The print is on archival canvas, 22x14” plus a black border for mounting purposes, signed by the artist. 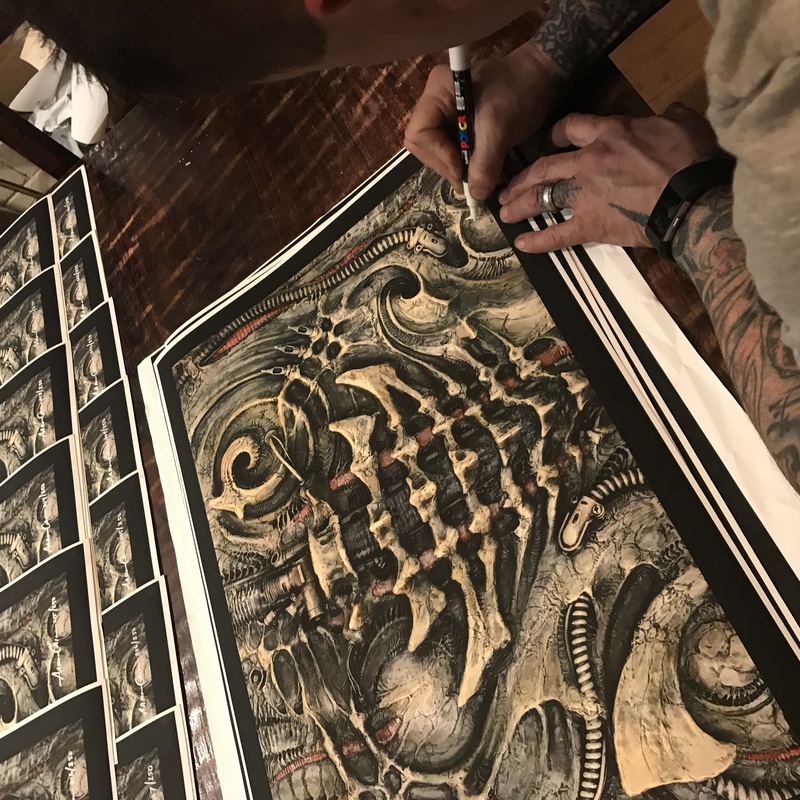 This is literally the first art print that Aaron has produced in his entire career- being a sculptor, this is a rare case of a piece of his that presents well in the print medium. These are a numbered edition of 250 so get em while they are available!